When people are exposed to hazardous substances they ingest, inhale, or have skin contact with, toxic tort cases may arise. Hazards may include contaminated drugs, consumer products that contain dangerous substances, or environmental toxins like contaminants in drinking water. Exposure to toxic substances found in many chemicals, gases, inhalants, and drugs can result in injuries and illnesses. Millions of consumers and workers are exposed to dangerous toxins that cause various health problems every day. Many people come in contact with toxins while cleaning, washing laundry, painting, and doing outdoor chores like landscaping and gardening. Others are exposed at work. Toxic torts cases against large manufacturers and companies are necessary to seek compensation for injuries. People who are exposed to toxic substances face serious, even life-threatening injuries. Over the past two decades, there have been countless people who developed mesothelioma from breathing asbestos fibers into their lungs. In the last year alone, thousands of people have developed respiratory illnesses, lymphoma, and other cancers from exposure to toxic chemicals used in pesticides like Roundup weedkiller. Many toxic torts arise after exposure to toxic chemicals used in cleaning products. Others arise from exposure to contaminated water and pharmaceutical drugs. Exposure to building materials treated with formaldehyde, ceramics, and toys containing lead, and mold in homes and businesses can also cause injuries that result in toxic tort cases. When large groups of people suffer similar injuries, class action lawsuits are often filed against product and drug manufacturers. Some class action cases, like the one against Roundup, involve millions of injured people and a recall of hazardous products. In contrast to class action lawsuits, toxic tort lawsuits are filed by single individuals who suffer injury or illness due to exposure. 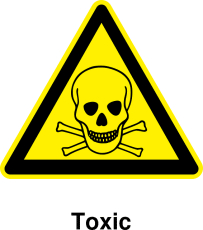 When a toxic tort lawsuit is filed in court, the plaintiff must prove their injury or illness is directly related to his or her exposure to a toxic substance. This requires clear medical evidence and diagnosis from a licensed physician. Exposure to some substances may produce immediate symptoms such as respiratory infections, nosebleeds, mouth and gum problems, skin rashes, and migraine headaches. However, many cases of exposure can take years for symptoms to surface, so doctors’ reports and medical diagnosis are complicated. Some cases may remain inactive for long periods without obvious symptoms. In mesothelioma victims, symptoms from exposure to asbestos can take from 10 to 50 years to show up.